Before many Historic New England properties open to the public each June, our collection services team visits to make sure that the collections on display are in the best possible shape. 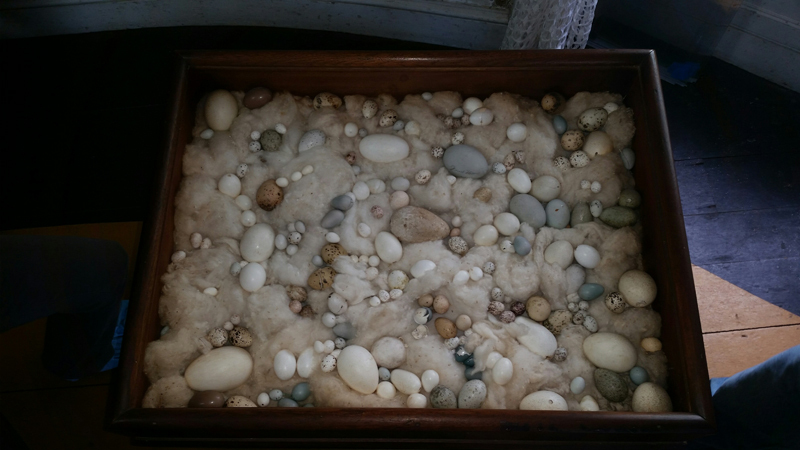 At Castle Tucker in Wiscasset, Maine, we recently examined every room, uninstalled damaged wallpaper panels for conservation, and quickly and effectively treated one of the site’s more unique objects: a display case full of birds’ eggs. Richard Tucker III (1859-1952) collected this assortment of eggs in the late nineteenth century. Two glass-topped boxes, one rectangular and one diamond-shaped, are set into a table. Each box is filled with a variety of colorful eggshells resting in a bed of cotton. Eggs naturally contain proteinaceous material, an attractive meal for household pests. Even when drained, some residue or some of the shell lining often remains. Carpet beetle larvae are especially voracious consumers, and we were dismayed to find that the cotton bedding in both egg cases was full of the remains of these pests. Our conservators made a quick run to a nearby store to find cotton batting and replaced the infested pieces in the case. Every egg in the case had to be removed and placed in a safe area so that we could access and discard the dirty cotton. 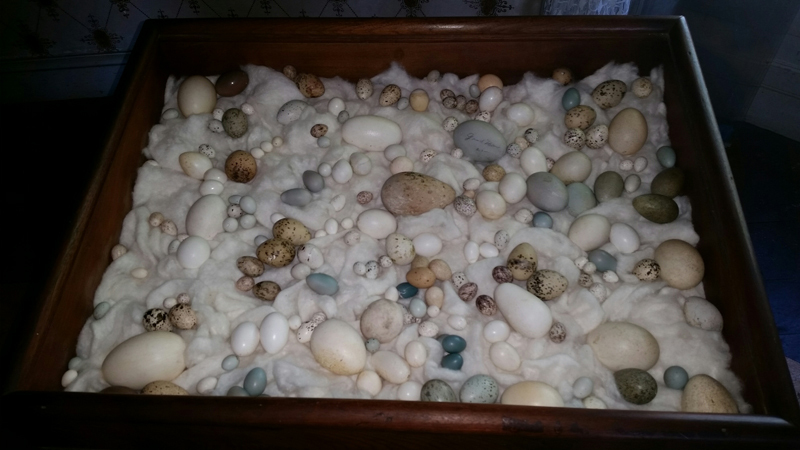 Photographs of the installation taken before treatment helped us replace the eggs in their original configuration once the new cotton was in place. The display looks much cleaner now. Find it in the billiard room when you visit Castle Tucker.